How do you reviatize a Boston Heritage Brand? a different take on Fresh. In 1944 Robert Winston set out with a pushcart and a vision. 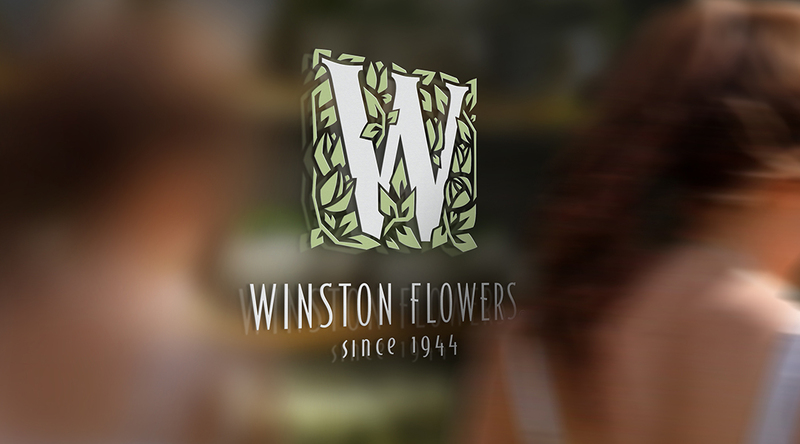 Over 60 years and three generations later, Winston Flowers’ commitment to customers and community, the highest quality product and the freshest thinking in design have allowed that pushcart to flourish into one of the nation’s most highly regarded florists and an internationally recognized innovator it floral design. 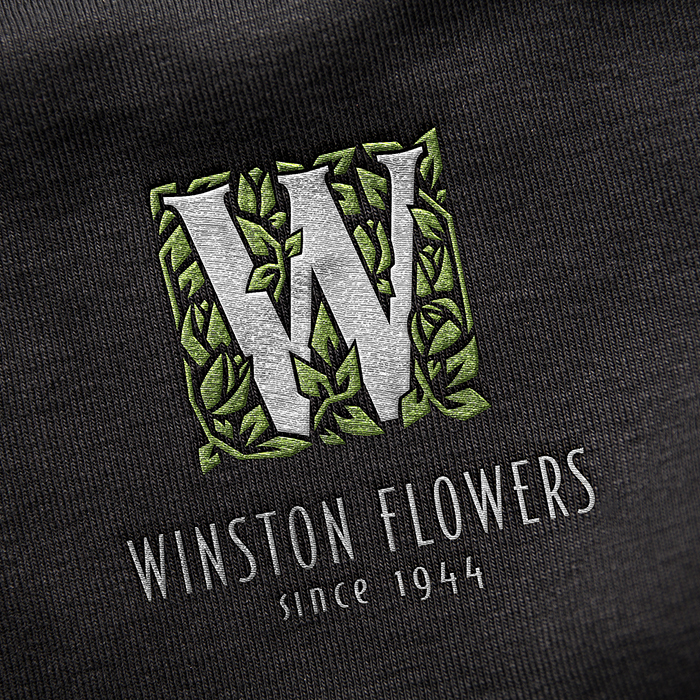 When a brand like Winston Flowers finds itself at a point of inflection, it’s easy to move forward without thinking back. In order to maintain its leadership position, Winston chose to partner with Blackcoffee to lead its rebranding efforts. Together, we established a clear understanding of the Winston brand experience and the key factors that drive that experience. We began by establishing how Winston would define success. We then looked forward to identify new possibilities and looked back to the company’s pushcart beginnings to pinpoint the value locked within the brand’s heritage. This futurespective/retrospective approach revealed a need to showcase not only Winston’s diverse talents within floral, spacial, and event design, but the heritage that supports the brand. In developing a new brand strategy and identity, we set our sights on capturing and expressing the brand’s ability to innovate without losing touch with the values that the company was built upon. 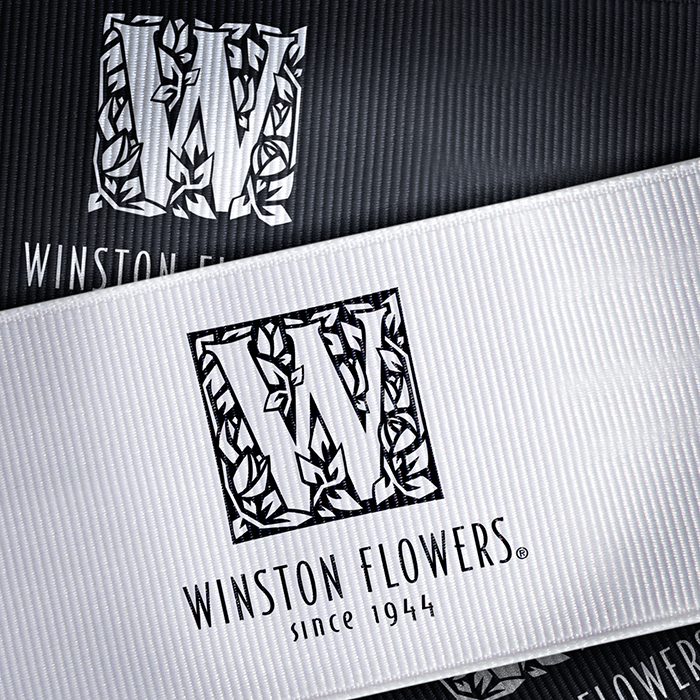 Through a diverse bouquet of brand signals, the Winston brand identity frames the brand’s domain, integrating new and old to leverage tradition and innovation. Once the brand strategy and supporting identity were developed, brand expression guidelines were created to detail the application of multi-sensory brand signals that define the Winston brand experience to improve brand performance. 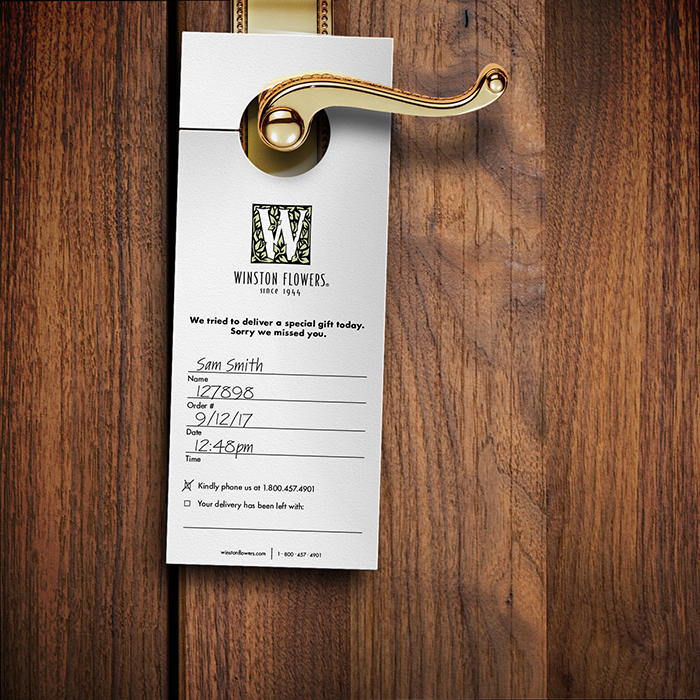 Creating thorough brand standards provided a clear understanding of Winston Flowers’ brand objectives, ensuring that internal staff and external agencies express a consistent “on-brand” experience that is recognizably Winston. 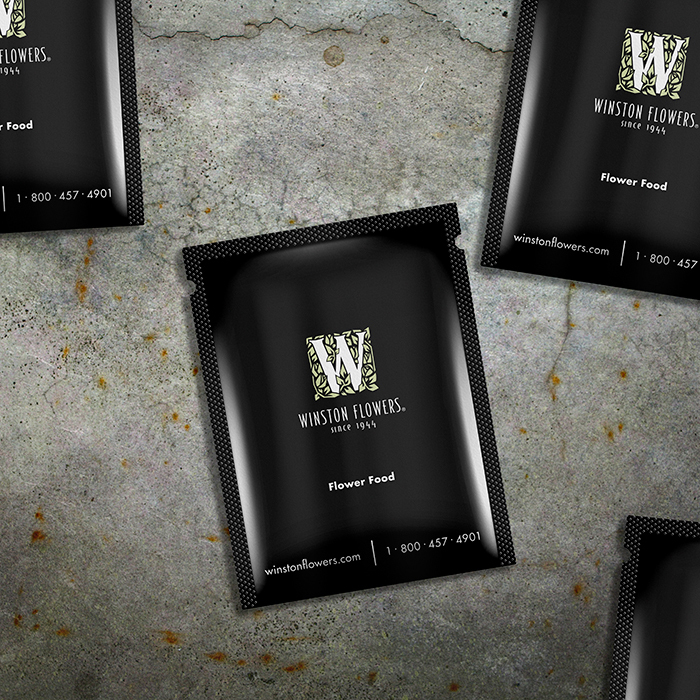 The final deliverable resulted in a comprehensive brand document that presented a detailed road-map for implementing and managing the Winston Flowers brand. At first, white vans might not seem cool, but they’re actually far more fuel efficient due to their cooler temperatures. Refrigerating vehicles increases fuel consumption. That not only costs money, it’s not very green, something Winston cares about deeply. When we set out to design the livery for Winston’s fleet, we kept things cool and simple; saving the company money while saving the planet. Beyond the logo, there’s little to identify one florist from another. We saw an opportunity to increase brand presence and distinction while decreasing operations’ costs. Rather than compromise, we created something new. Standard flower picks come in two varieties, cheap plastic and steel that’s not only difficult to work with, but it rusts. 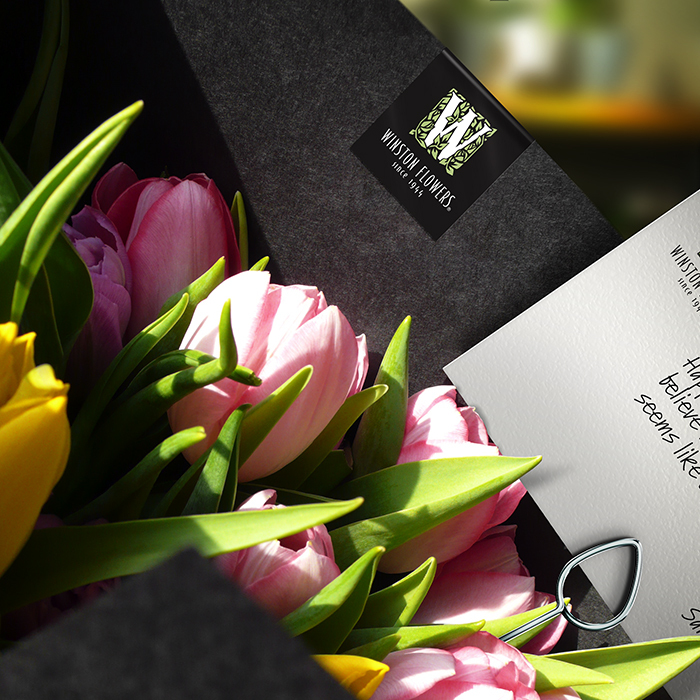 The new design is a proprietary pick based on a tulip shape, playing homage to Winston’s innovation: the first florist to have tulips flown in from Holland exclusively. The new pick is not only easier to work with, it serves multiple functions while serving as a brand signal. Blackcoffee took the time to understand our business, our goals and our objectives. They’re not only creative, they’re the only consultants we’ve ever worked with who truly delivered on everything they promised.